The Reebok Zigtech 710 Treadmill is well known as one of the quietest home gym exercise machines that is on the market. Not only does it keep its internal operations to itself, but it also provides the user with music directly form an attached iPod (not included). It has the ability to preprogram thousands of workouts that are personalized to the individual user. Overall, this treadmill offering is definitely a good addition to most home gyms, but is it right for yours in particular? Let’s take a hard look at the good, the bad and the ugly about the Reebok Zigtech 710 Treadmill. As mentioned before, the amount of noise that this machine does NOT make will give you a new level of confidence in your home gym. With this treadmill, you can definitely have peace of mind focusing in on your workout rather than having to worry about the belt and the motor sounding like they are working harder than you or disturbing others nearby. With the Reebok Zigtech 710 Treadmill, you have the ability to take your workout to the next level with 22 built in workout apps. A power packed drive train and a 2.5 CHP commercial internal motor allows the user to take the speed of the tread up to 12 miles per hour. The sturdy foundation made of steel gives a great look as well as a better workout. Your machine will last longer because of the sturdiness with which it was initially built, no matter how hard you work it. With its power comes some very effective safety mechanisms that are geared towards protecting your joints and muscles while you work out. The Reebok comes with proprietary cushioning that has been proven to protect your back and your legs while treading. With the Reebok Zigtech 710 Treadmill, you gain unprecedented access to your body vitals for monitoring your progress. You can also create a sophisticated program that is personalized to your goals for the future in the long and the short term. It comes equipped with 22 prebuilt workout apps. Reebok offfers a generous 2 year parts and 1 year labor repair warranty as well as a lifetime frame and motor warranty. Because of all of the technology that comes with the Reebok Zigtech 710 Treadmill, it can be quite a pain to assemble. Although it can be done without the aid of a professional, the learning curve could be difficult. Ideally you might consider having another person available for some aspects of the assembly. The Reebok Zigtech 710 Treadmill delivers great value in its price point, but there are better treadmills out there that provide more accurate analysis of vitals and a better overall workout experience. For those people who are on a budget, the Reebok Zigtech 710 Treadmill can be a good buy, but if you have a little extra money to budget you might want to consider Reebok’s Zigtech 1410. The extra bells and whistles that are included could potentially overpower the base performance of the Reebok 710 because of performance limitations within the price point. 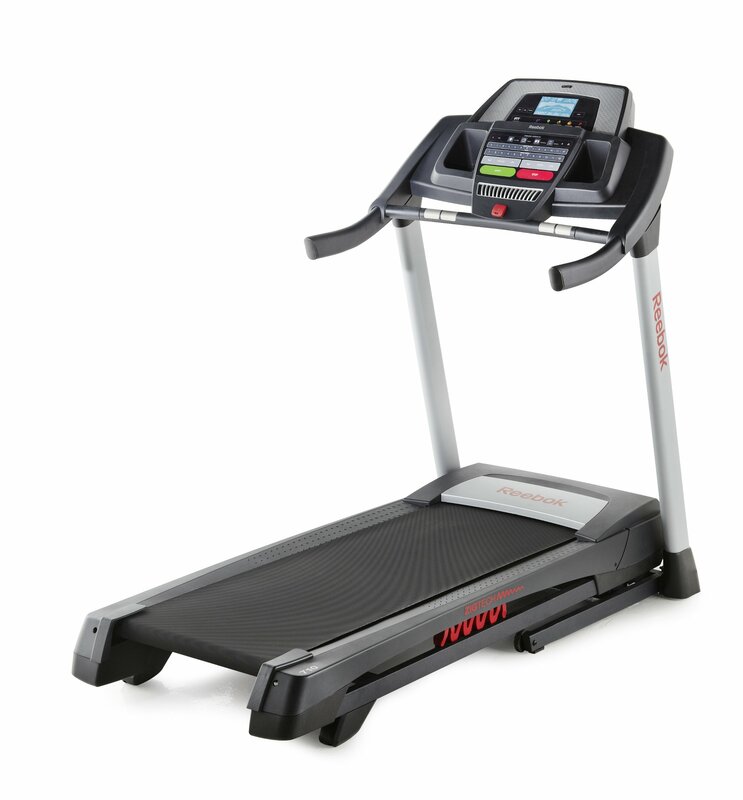 The Zigtech 710 Treadmill by Reebok does have many similarities with other brands of treadmill that are priced less than $1000. This begs the question: Are you just paying for a brand name? The brand is solid, to be sure, but if you feel like taking a chance on a treadmill with a similar LED screen and functionality, you may save a couple of bucks. Then again, you may get a decidedly worse treadmill. Do not be fooled by the bells and whistles: The base performance of the Reebok 710 Treadmill is up to par; however, you may be able to get the same performance for a few hundred dollars less if you are willing to bet on an another brand. The Reebok Zigtech 710 Treadmill can be great buy within its price range with a lot of satisfied users reporting positive reviews. If you are looking to have the most advanced home gym in town, then you should be looking at treadmills that outclass this one. However, if you are on a budget or you just need a treadmill for every day use, then this is the one for you.